Set up an exciting and informative themed display to celebrate International Women's Day on March 8 - and extend it for International Women's Week. 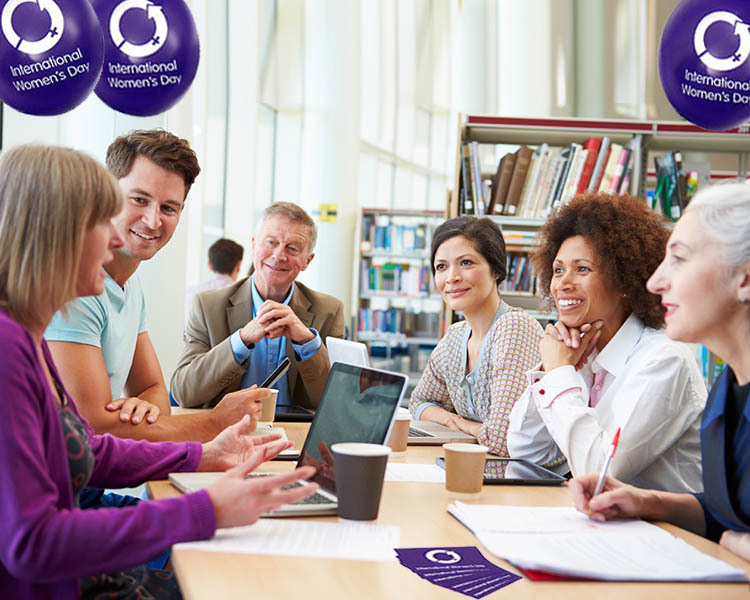 Whether setting up an International Women's Day (IWD) display for a library in a school, local council or government setting, or in a university, there are many exciting ideas and excellent resources for IWD displays. locate your International Women's Day display in a high-traffic area to support awareness raising. feature classics by female authors, modern literature by and about women, and an assortment of biographies about great women in history. introduce female authors to discuss their work and participate in an engaging Q&A. invite local feminists, business leaders, role models or thought leaders to run a mini-lecture on their views about gender parity. host a poster competition or workshop to help raise greater awareness of gender parity in the community. provide exciting materials about great inventions and discoveries by women. celebrate women's achievements via incorporating materials in the display featuring great female role models throughout history. provide a question box to ask users how they will forge equality. organise a public debate on the topic of "Are future generations keen to see more gender balance?" or a further engaging topic. host a public performance celebrating the impressive talent of women. order your International Women's Day Event Pack early. IWD banners, bunting, postcards, lapel pins, wristbands, balloons, pens and more - everything you need to help make your IWD display a huge success. Worldwide shipping available. Individual and bulk orders welcome. Orders fulfilled on a first-come basis. send us your images so we can share them on the IWD website and via social media. register or login to your IWD account to publish your own webpage on the IWD website promoting your IWD display and share images. In honour of International Women's Day, many groups have collated lists of impressive reading materials over the years to support IWD activity. Want to contribute your suggested IWD reading materials list, please contact us with your ideas.